The Cobb Realty Group	"Where Transactions Turn Into Relationships"
Posted on May 29th, 2017 . As a First Time Home Buyer, you should start getting a basic understanding as to what terms that you will see during your first real estate transaction. 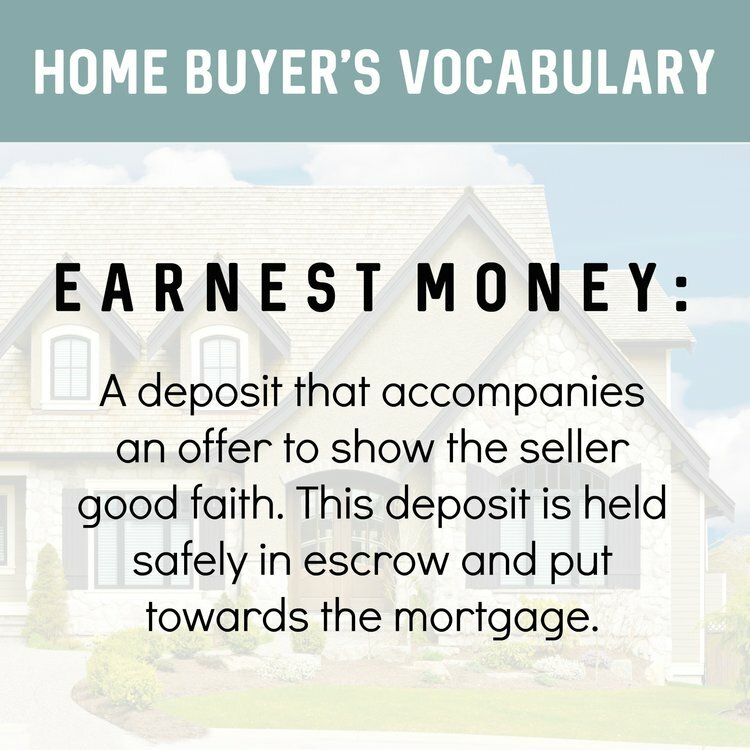 The word below “Earnest Money” is something that will be attached to any offer that accepted by the seller. It just shows the seller how serious you are in regards to purchasing their home. This is amount that will be written in check form. The money will be held by either your closing attorney or the Listing Agent’s Firm.